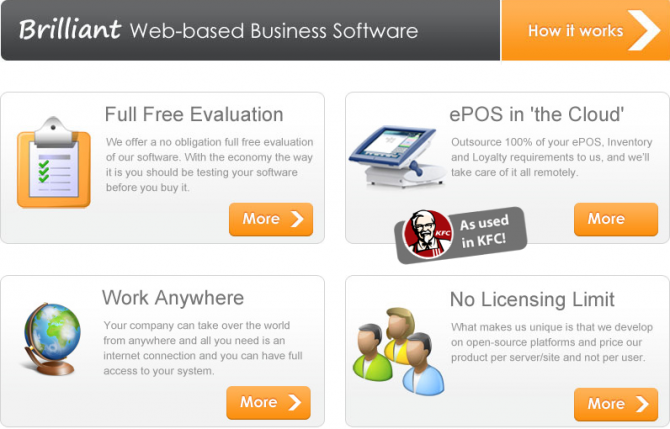 The BlueBox are a SaaS provider and specialise in web-based business systems. 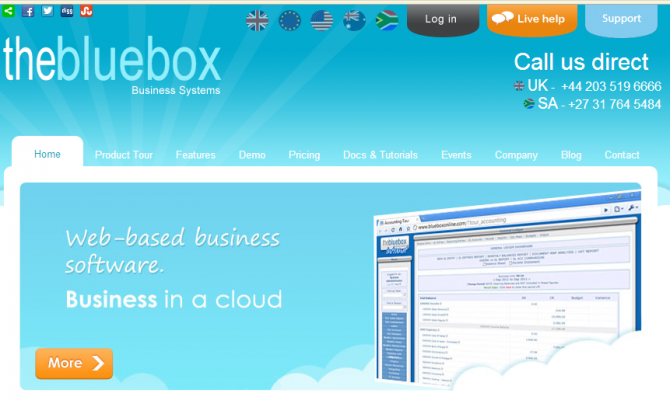 The BlueBox was started in 1997 and have been developing sophisticated business system tools and at the same time providing system developers with a platform on which to build and refine web based systems. They’ve recently joined Layershift and started using our innovative Jelastic PHP Cloud Hosting service so we really wanted to get in touch with Paul de Villiers – Director & Lead Developer at The BlueBox to find out more details about how they settled in and managed to get their application hosted in the Cloud. A: Our core product is BlueBox2.0 a full-featured ERP system that includes modules for Sales, Procurement, Inventory, Manufacturing, Marketing, Financial, Human Resources and Publishing. We consult our solution to small/medium sized companies and pride ourselves in being able to bespoke each solution to fit our customer’s exact needs. Our average customer pays around £500-£1000 per month for our product on a month-by-month lease. Q: Have you evaluated other cloud hosting providers? A: We have tried various dedicated and cloud-based hosting environments over the years and have encountered some very professional companies in those spaces as a result. However, we have seen a growing demand to shift to a truly cloud-based hosting platform and found that most providers were way too restrictive and expensive for our market. By comparison, our other cloud hosting provider offers a similarly high end solution, but at a high end price. Layershift’s Jelastic platform offers BlueBox a fantastic toolset to scale and control costs – which is a really exciting combination for us. We’re also running a very successful Citrix XenServer “private cloud” on a dedicated uber-server and this technology is still appealing to us – but with this solution we have to pay for a fixed amount of resources (the dedicated server) regardless of our usage, and as it’s a single dedicated server (albeit a powerful one) we are potentially constrained by that in terms of reliability and performance. The control and features offered do not match the simplicity or scalability of the Layershift Jelastic platform. Q: What where your main concerns whilst trying our PaaS? A:We have always battled with hosting company ‘fuzz’ – whereby we encounter issues and receive a very fuzzy response to our queries about what causes them. Layershift have been incredibly accurate and precise in all their responses to us, and this has built our confidence in them. Q: Why is Jelastic a perfect fit for your cloud hosting requirements? A: Our main aim was to have a replicable PHP/MySQL setup that we can easily scale and deploy in a cloud-like environment. Jelastic as a platform provides us with a simplified toolset backed up by truly awesome scalable technology – the perfect mix for us – and it is proving to be incredibly cost effective to boot. We are paying no more here than we ever did in traditional hosting, with the added benefit of having portability, scalability and flexibility at our fingertips. Q: How are you handling traffic spikes? A. The Jelastic platform we are on is amazing – it scales in seconds and the alerts we get inform us of problems before they arise. It feels like a solution that can scale to any size we want to grow to. Q: Are you happy with the customer service received? A: This area is the outstanding one. Platform is one thing, but ongoing service is another and the reason we are with Jelastic is because of the outstanding service we continue to receive from Layershift. Q: What about our technical support team? Q: Jelastic seems to really cover everything! What about pricing? A: I think it is comparable to previous hosts – but with double the service quality, features and benefits… so that feels like excellent value for money! A: We plan to move more and more systems to Layershift’s Jelastic platform in the coming months and look forward in anticipation to a growing relationship. Thank you very much for your time, Paul. We really appreciate you sharing your experience and reviewing our PHP Cloud hosting services.